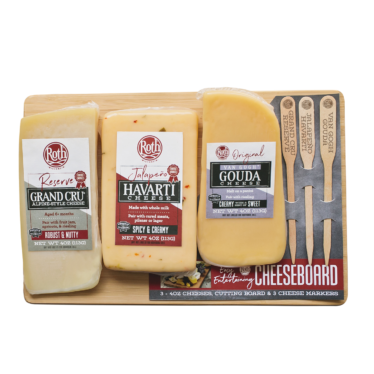 Complete with three of our most popular cheeses – Grand Cru® Reserve, Jalapeño Havarti and Van Gogh® Gouda – a bamboo cheeseboard, and wooden cheese markers for serving, this kit has it all. 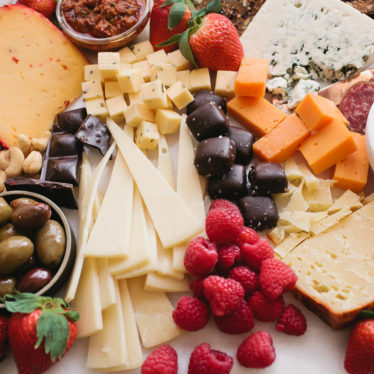 Each 4 oz piece of cheese is made to easily cut into small, bite-size pieces and label for your guests. 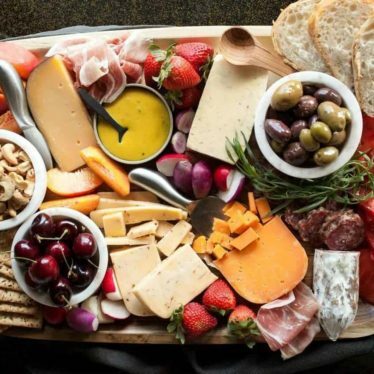 Summer is one of the best times of year to make a cheeseboard. 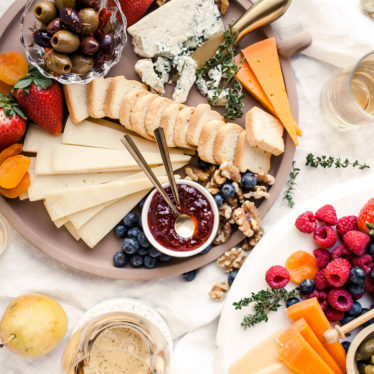 Fresh fruits and vegetables are plentiful, backyard barbeques are frequent and we need more things to pair with the extra wine consumed on our patios. 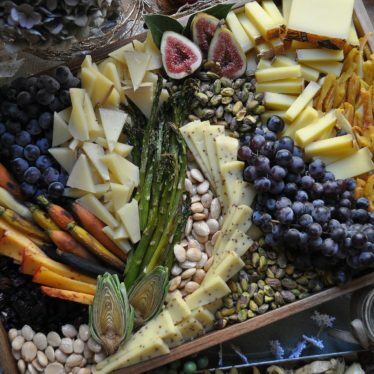 When you want to put together a cheeseboard for guests, sometimes getting starting is the hardest part…. 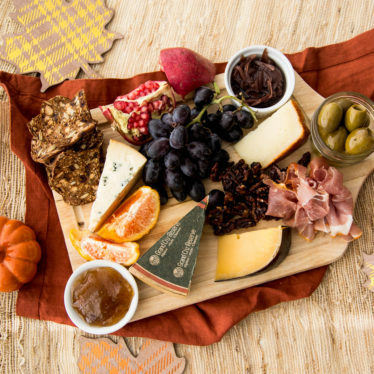 Nothing says Happy Thanksgiving like a festive cheeseboard. 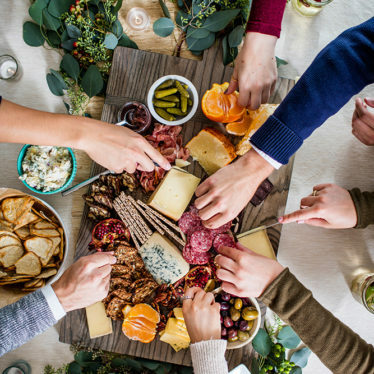 We hope you have a wonderful holiday. 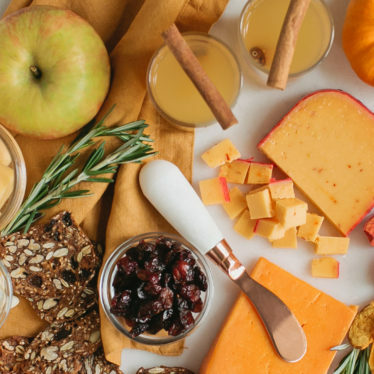 It’s high time for a perfectly autumnal cheeseboard, don’t you think? 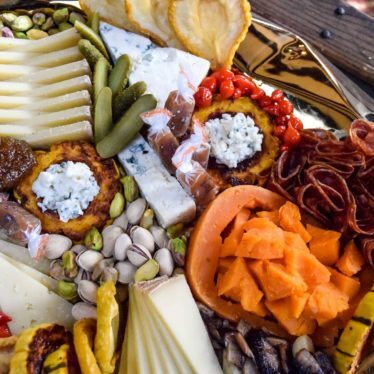 Fill your board with Moody Blue, Granqueso Reserve, Van Gogh Vintage Gouda and Grand Cru Reserve. 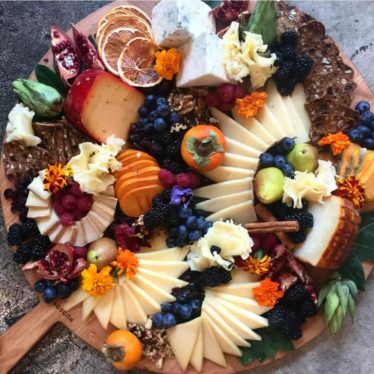 No gathering is complete without the right cheeseboard to spice up the party. 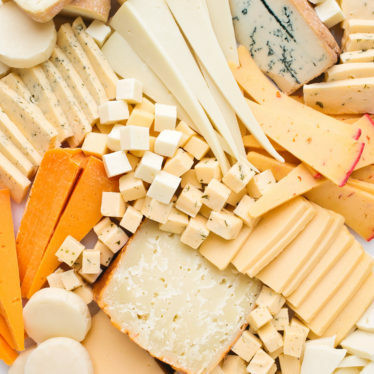 But, how do you cut cheese so it looks like this: We’re here to tell you how. 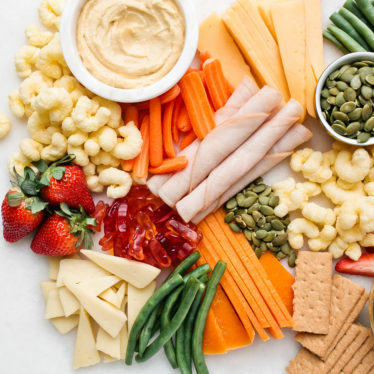 And, it’s really quite easy. 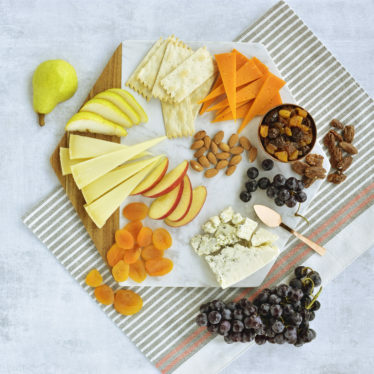 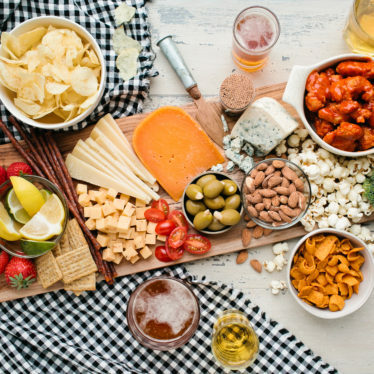 Here are some of our favorite ways to cut cheese that will add some visual flair to your next cheese board…. 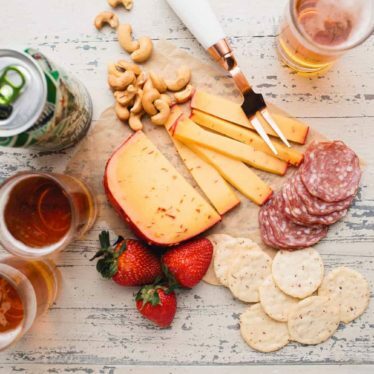 If you like spicy cheese, Sriracha Gouda may be your new best friend. 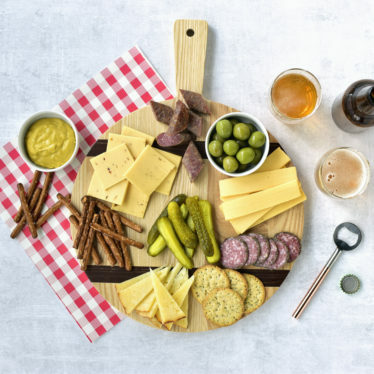 It’s made with Sriracha chili sauce and rubbed with crushed red peppers to make its unique rind and bold flavor. 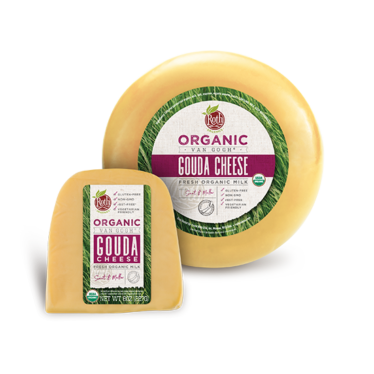 You’ll get a creamy texture like a traditional Dutch-style Gouda, but with a kick of heat. 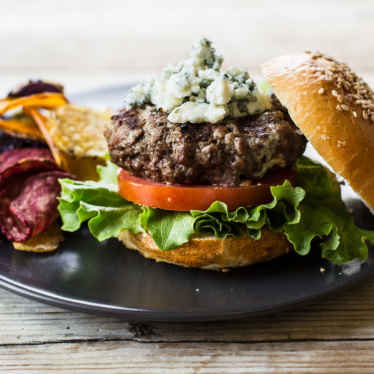 And we know what you’re thinking…. 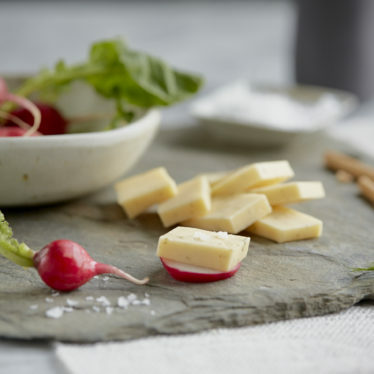 Crafted from fresh, organic Wisconsin milk, our Van Gogh® Gouda is the quintessential Dutch cheese. 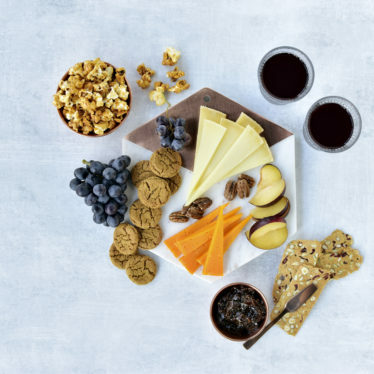 The mellow and mild sweetness make it the ideal addition to everyday dinners as well as a cheeseboard course. 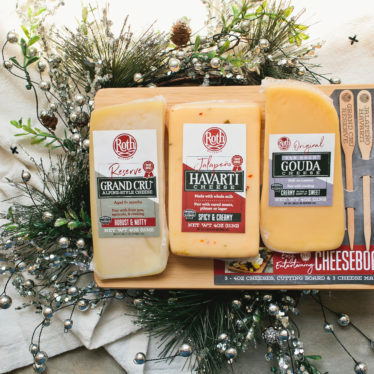 What will you be putting on your holiday cheese boards? 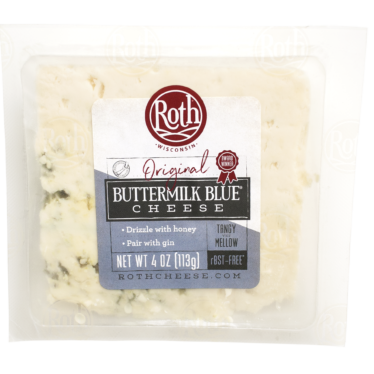 We’re thinking some Grand Cru, Havarti, GranQueso, and Buttermilk Blue would be lovely. 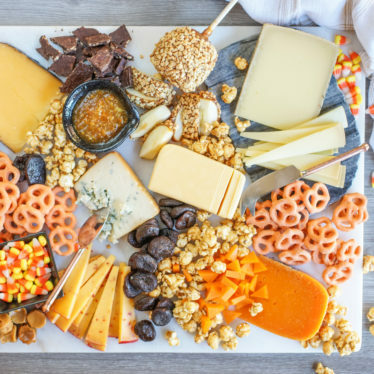 Hope you have a spooktacular Halloween! 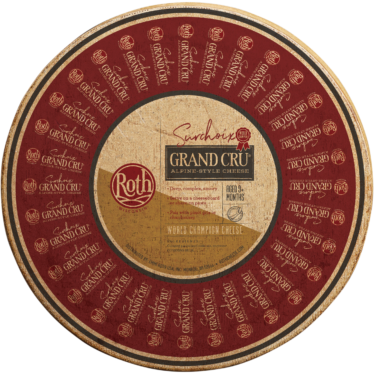 This World Champion cheese is the best of our best — only a few wheels meet the stringent requirements of our cellarmasters to become Surchoix. 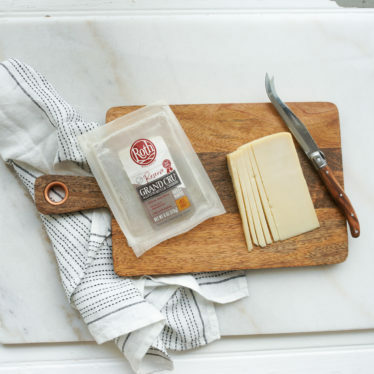 This washed-rind Alpine-style cheese has a deep and complex flavor that makes it the winning centerpiece of any cheeseboard. 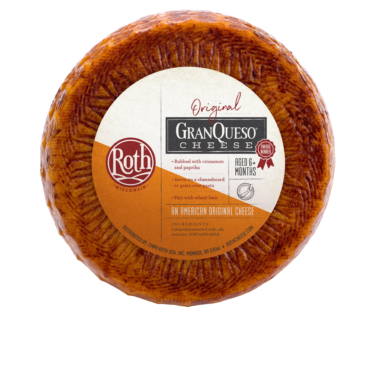 GranQueso® is an original creation inspired by classic Spanish-style cheeses. 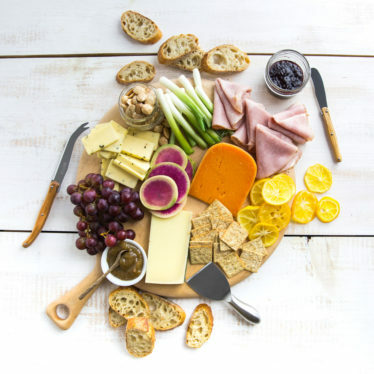 Whether on a cheeseboard or in a recipe, the hand-rubbed blend of spices comes together for a unique flavor experience.